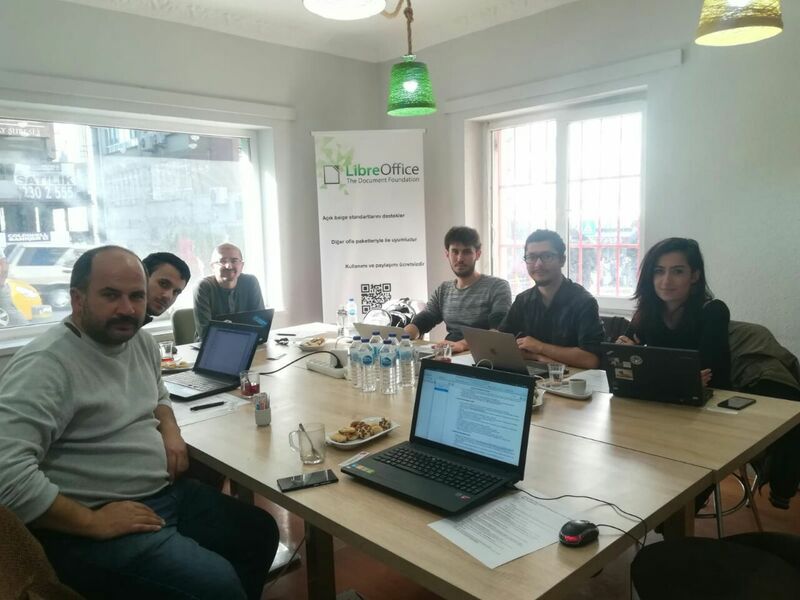 Eight people (including one remotely from Istanbul) participated in our live session in Ankara, and we tested LibreOffice 6.2 Alpha on Linux, Windows and macOS. We always held our past live sessions in Pardus’ venue. This time we decided to make a change, and I think it brought good results. All people in the session, except me, were new faces, from different schools and workplaces. We started with self-introductions, and chatted for a short while, to get to know each other. Then I went through our bug reporting and QA process briefly, and introduced the participants to our Bugzilla installation. We identified several bugs, and created bug reports for them. Some of our new community members are following up the bug reports, and some have even started contributing to localization). We also created a Telegram channel to communicate during the event, and later on as well. Overall, I think it was a productive, and fun event. Do you mean, you want to see screenshots of new features in LibreOffice 6.2? There are some in the release notes: https://wiki.documentfoundation.org/ReleaseNotes/6.2 – but if you want more, why not help our volunteers to create them? ;-) We’re a volunteer-driven, community open source project, where every contribution helps. Try out a snapshot of the new version, take screenshots, add them to the wiki and give us a hand!